A Smarter Way to Optimize Operations and Maintenance. Get the Most Out of Your Solar Farm. Solar energy industry is enduring unprecedented growth with rising interest in clean energy and to meet the fast growing energy demand. Large solar farms can have tens or hundreds of photovoltaic panels working together. 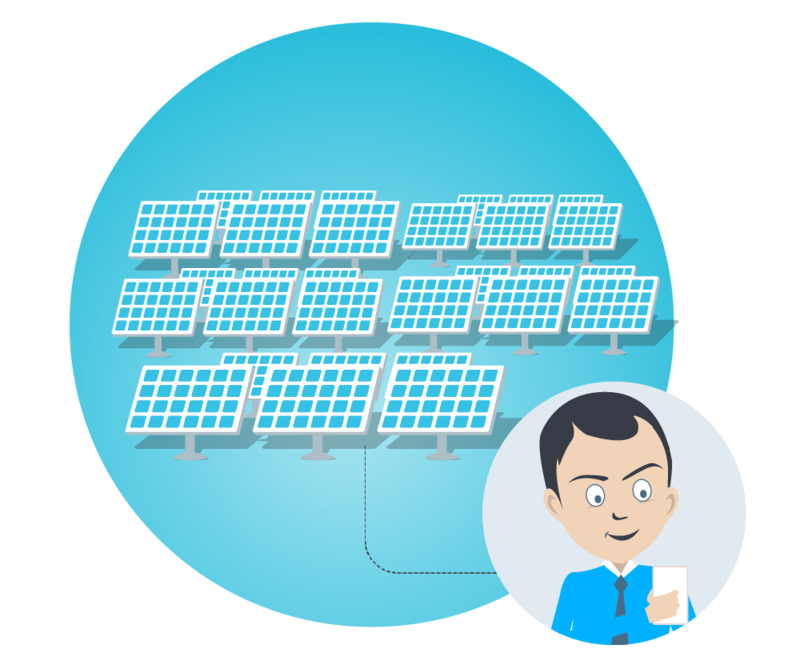 As the industry grows to new heights, solar operators are presented with an entirely new challenge: inefficiency. More installation means more endpoints to monitor and maintain, and added downtime. If a loss of energy production in the system goes unnoticed for a long period, due to shadowing of the solar modules or disturbances in public grid, it upshots in serious loss of yield. While solar plat operators could previously have relied upon traditional maintenance approaches, including scheduled and corrective maintenance, but this approach is no longer feasible due to the sector's scale and spread. Traditional maintenance approaches have disadvantages in terms of excessive cost, time lost, and unplanned outage & repair. To address this issue, solar plant operators have to resort to remote monitoring solutions powered by the Internet of Things. WebNMS Solar Farm Manager is designed for proactive monitoring of system performance and guarantees smooth plant operation. It offers an integrated system of controllers and sensors installed on panels monitor their performance and provide real-time insight to site management teams. WebNMS maximizes the yield of the installation, reduces the costs associated with monitoring, management, and fault recovery.